Gavin Hunt’s charges knew that only three points would keep them in the title race and despite creating all the big chances in the first stanza, they couldn’t capitalise on their openings and went into the break goalless. It didn’t take Leopards long, though, to find the leveller as Lifa Hlongwane equalised 12 minutes later. Both sides then had their chances to net a winner in the second stanza, but poor finishing ensured that the game finished 1-1. Time is beginning to run out for bottom-of-the-table Maritzburg, who suffered a damaging loss at the hands of the Lions of the North on Saturday. Both sides had an outside shot of making a late claim for the Absa Premiership, but needed to pick up all three points in their clash on Saturday evening. They played out to a tight 0-0 draw the Lucas Moripe Stadium, however, which could ultimately now see them both out of the title race. A Musa Nyatama penalty fired them into the lead just after the break, before Justin Shonga netted to make it 2-0 for the Sea Robbers with 55 minutes gone. 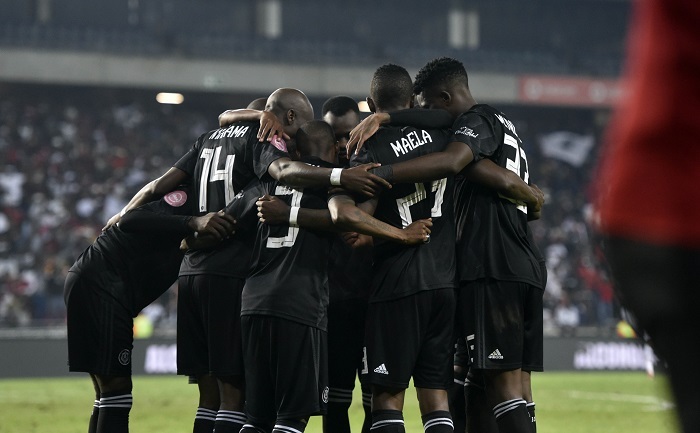 Eleazar Rodgers pulled a goal back in the 82nd minute to ensure a tense finish at the Orlando Stadium, but Pirates managed to hold on for the three points to send them six points clear at the top, although Sundowns do have three games in hand. The only game on Sunday was called off after Celtic fans stormed the pitch prior to kick-off in protest against club owner Max Tshabalala and uncertainty about the future of the club.